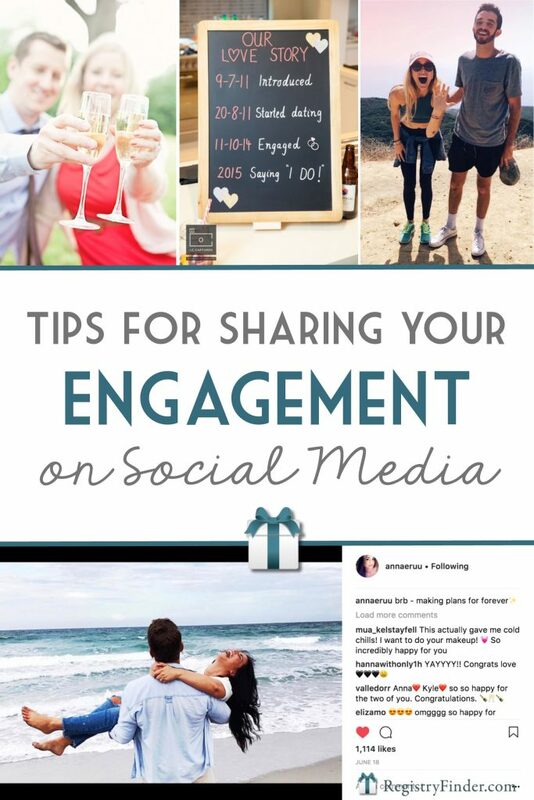 In today’s social media world, it’s normal to assume you’ll be sharing your engagement with the World Wide Web sooner than later. 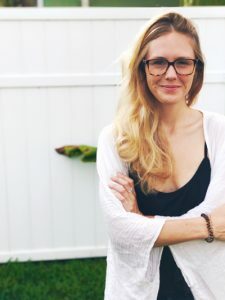 Before my own engagement, I was reasonably convinced that I’d keep the news between myself and my fiancé, and that we would share our excitement personally with select friends and family—and that was it. My long-held belief to keep personal things personal completely shifted once the ring was on my finger and I was making phone call after phone call in an excited fury. I wanted to share our news with the world and I wanted to do it yesterday. It took a few days for us to call and text the people we wanted to find out from us personally, and once we had exhausted our lists, we decided it was safe to post a photo to announce our new chapter. Needless to say, we were met with incredible support from all angles, and we felt the best knowing we’d shared the news personally before posting for the world to see. 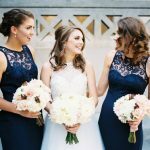 You’re in a lucky group of wives-to-be if your fiancé planned for your engagement to be captured on camera—it’s a once in a lifetime shot to look back on for the rest of your forever. If there’s a shot in particular that captures the pure emotion of the moment, I say post it! Hold out for that perfect shot and your engagement announcement is as good as gold. 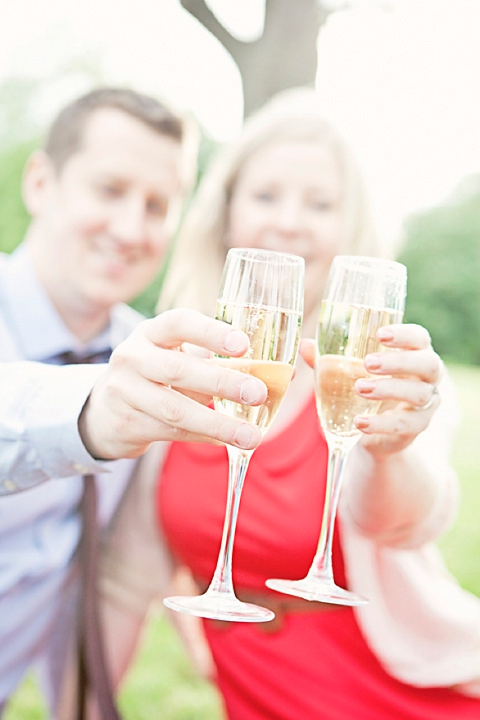 There’s never a bad excuse to pop open a bottle of bubbly in my book, and your engagement is one of the best out there. Snap a shot of you and your other half making your first toast as fiancés—bonus points if it’s a Boomerang. 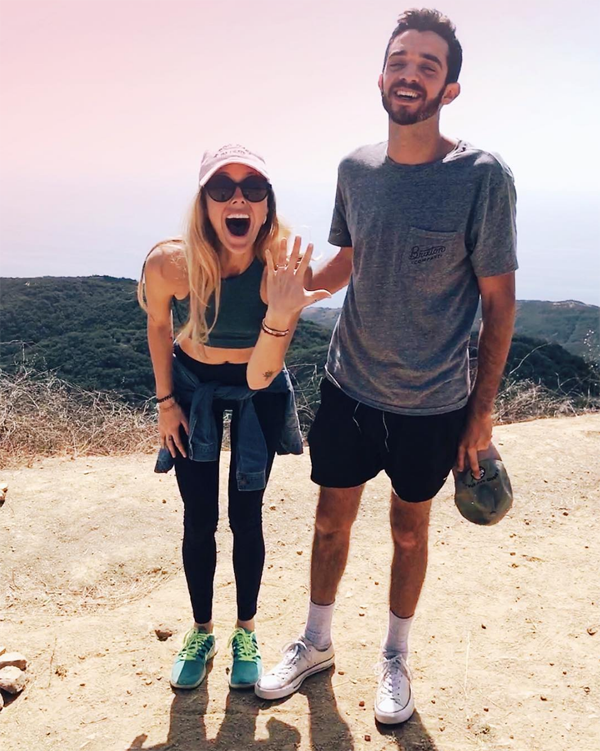 As much as I love a good original engagement announcement, there’s something to be said for classic poses, after all, they’re used (sometimes overused) for a good reason. Check out our Pinterest board for fail-proof announcements that never fall out of style. Sometimes, you just don’t want to pose for another picture—I get it. 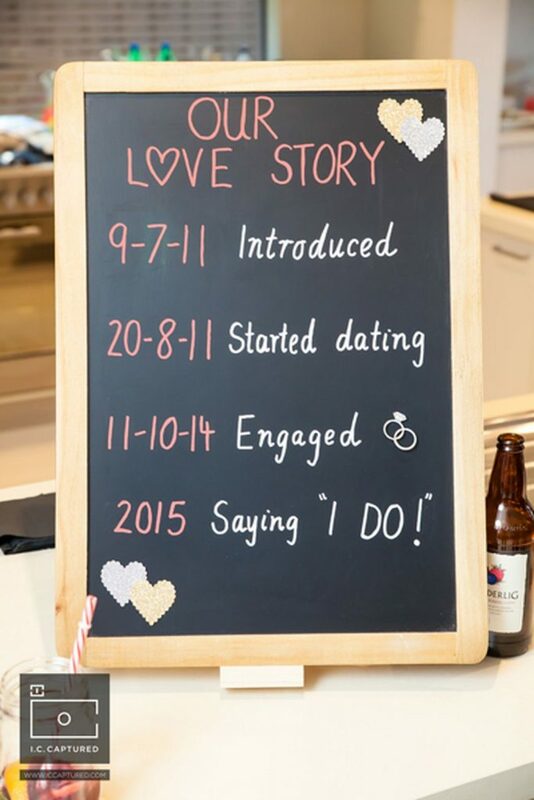 Using an old-fashioned letter board or chalkboard to make your announcement sends the message loud and clear, and it’ll definitely stand out from the crowd. 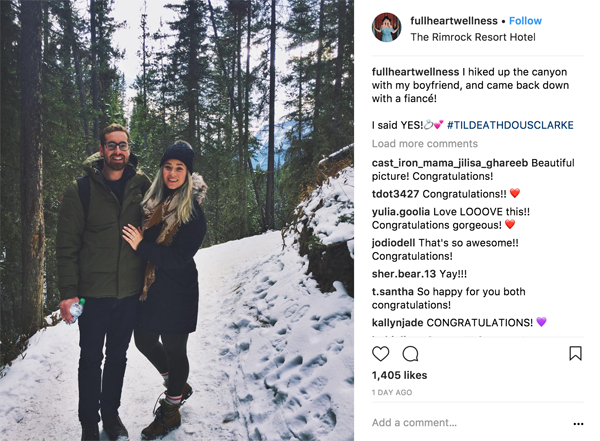 If you are a bride to be who truly can’t bring yourself to bring any attention to your pending nuptials, you’re not obligated to post a thing! Tell those you care about in person (or on the phone) and just let the word spread the old-fashioned way. As always, RegistryFinder is here for you every step of the way during your planning, from finding your perfect wedding day accessories to helping you quiet the bridezilla inside should she want to make an appearance. 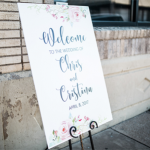 And when it comes time to set up your wedding gift registry, we’re here to get you started with the Ultimate Wedding Registry Checklist! And don’t forget to direct your guests to RegistryFinder.com, where they can find all your registries in one convenient place. Not quite ready to share the happy news? Pin this post for later! Written by Brittney Winters, who would sincerely love nothing more than to plan and caption any and all engagement announcements for friends and strangers for the foreseeable future. 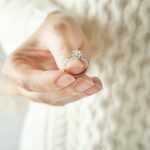 Ask Cheryl: Should I Return the Engagement Ring? Ask Cheryl: Not Invited to Baby Shower, but Can I still Send a Gift?